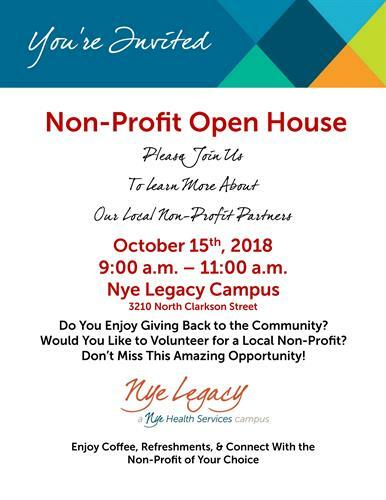 Join us on October 15th from 9:00AM - 11:00AM to learn more about our local non-profit partners. Do you enjoy giving back to the community? Would you like to volunteer for a local non-profit? Don't miss this amazing opportunity. Enjoy coffee, refreshments, and connect with the non-profit of your choice.